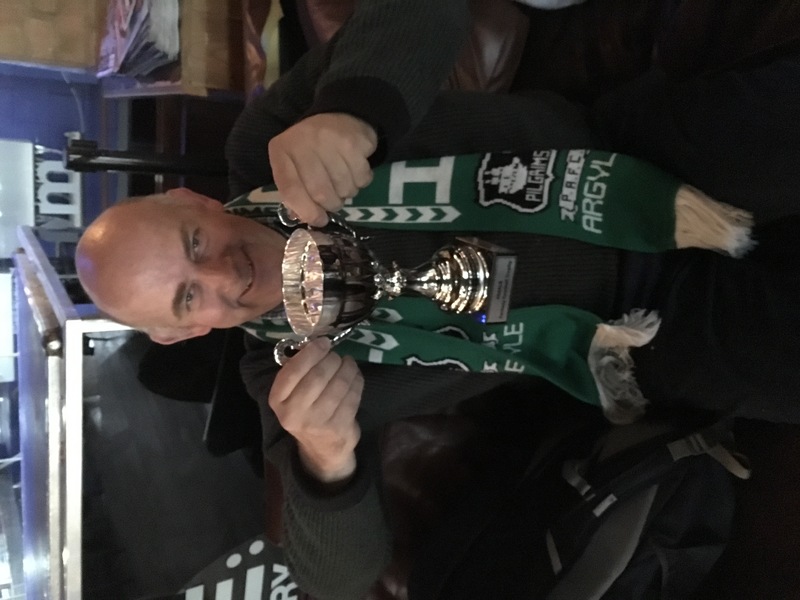 Last year’s winner James “Jimbo” Chapman aka the legendary Jim-ber-lee (pictured below) will have to hand over the coveted trophy. 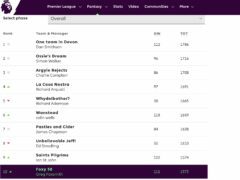 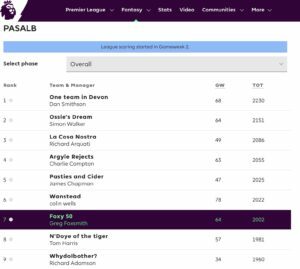 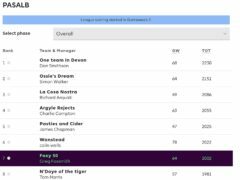 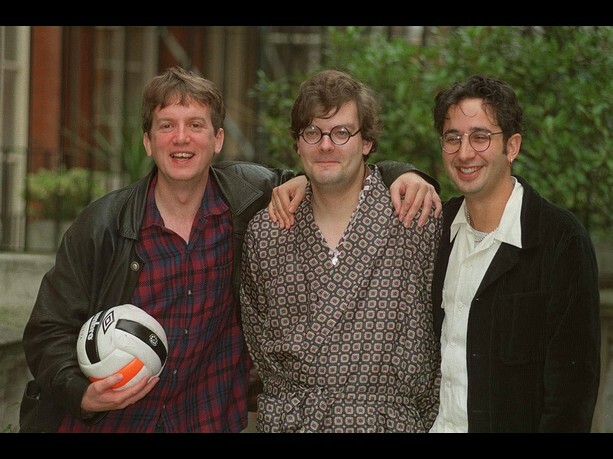 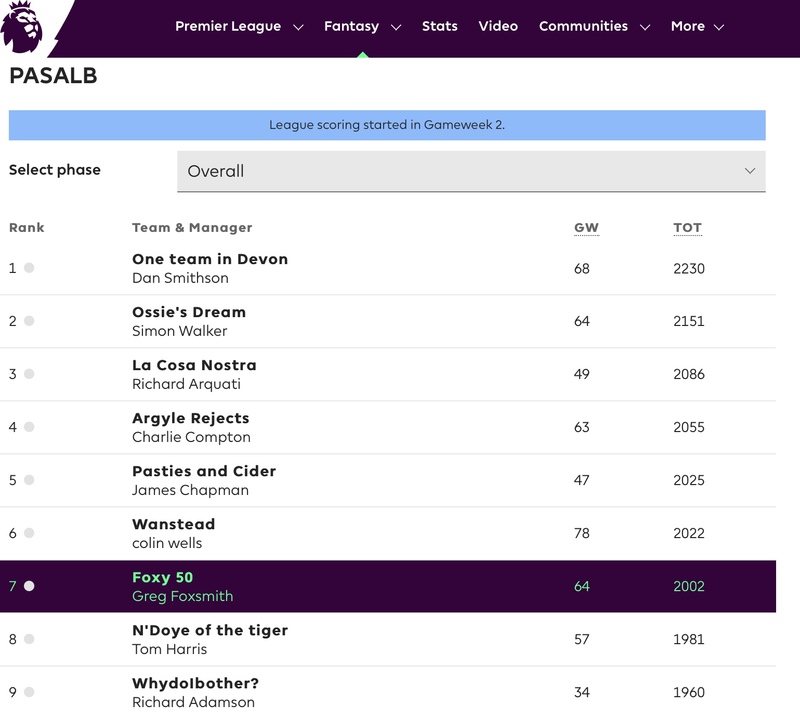 Propping up the table in last place was membership secretary Rob Preece, who is standing down from the committee at the AGM on June 7th, although he claims that decision is coincidental and not at all based on his dismal showing in the fantasy league. 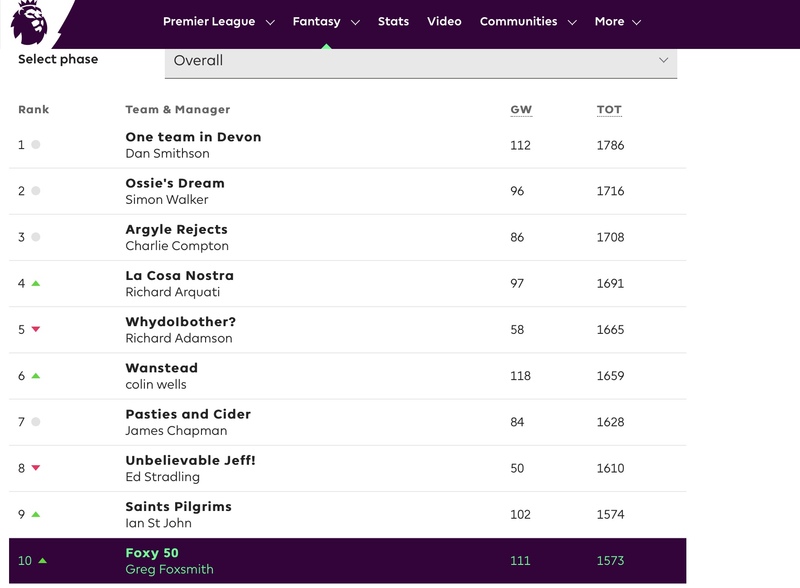 An alternative explanation is his marriage mid0way through the season- so understandable if he took his eye off the ball. 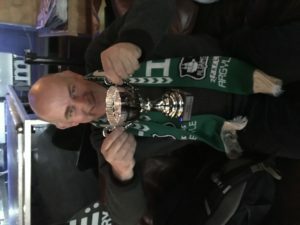 The trophy will be presented to Dan at a convenient away fixture next season- so watch this space for news, come and get autographs and selfies, and most of all be ready to enter next season’s tournament hen all the fun starts again.